Students and parents alike often have many questions about fraternities and Greek life in general. To help give you a better understanding of our brotherhood and what's expected of you as a member of the Greek system, here are some of our most frequently asked questions. Being a brother of Theta Xi is a commitment that lasts far beyond one's undergraduate experience. With over 65,000 men initiated nationwide since 1864, our members have dedicated their lives to bettering their fellow man. Theta Xi alumni include award-winning actors, College Football Hall of Fame members, university presidents, inventors, astronauts, Congressmen, Nobel laureates, and more. Many of these individuals were members of our very own chapter, which as of today has initiated over 1,600 brothers and counting. The Greek system has long been an integral part of UCLA’s campus climate. Today, the university is home to a number of national and local Greek-letter organizations which collectively constitute the university’s largest membership-based multifaceted community. In fact, UCLA’s fraternity and sorority organizations represent one of the largest and oldest Greek communities on the west coast—they compose almost 20% of the Bruin population! UCLA’s Greek system provides a welcoming forum in which members can cultivate lasting relationships with one another, exemplary alumni, and community leaders. Additionally, inter-Greek organizations exist to help promote a positive image of the Greek system and build a strong sense of comradery among its members. Whether to join a large or small house, a culturally-based group or a general fraternity, a newly-formed chapter or one that has been around for almost a century, is a simple matter of personal preference. Each organization has its own advantages. Selecting a fraternity is like choosing friends—pick the group with which you feel most comfortable. 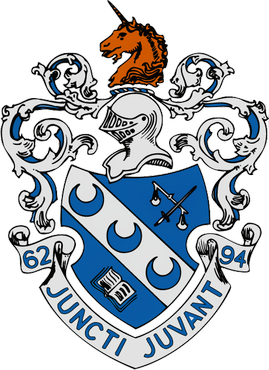 Originally founded in 1864 at Rensselaer Polytechnic Institute, Theta Xi was the only fraternity to emerge during the Civil War. It was also the first-ever professional Greek letter organization, in that it was originally founded as an engineering fraternity. In 1926, it became a general social fraternity and began accepting prospective members with all interests and backgrounds as it continues to do today. As of 2013, Theta Xi consists of over 50 active chapters across the United States and has initiated over 65,000 individuals who went on to become award-winning actors and screenwriters, College Football Hall of Fame members, inventors, Congressmen, Nobel laureates, and more. Among our notable alumni are steel tycoon Andrew Carnegie, Garfield creator Jim Davis, NASA astronaut James Voss, former Disneyland president Jack Lindquist, and Father of Scientific Management Fredrick Winslow Taylor. The Alpha Zeta chapter of Theta Xi was founded in 1928 and became one of the first fraternities at UCLA, as well as the first to have a house on campus. We have won numerous national awards including the much sought-after Memorial Trophy; had several alumni elected to the prestigious Order of the Unicorn; and emerged victorious in countless intramural sports tournaments, Greek Week competitions, and sorority philanthropies. We also consistently earn one of the highest average quarterly GPAs on fraternity row—a fact attributable to our academic scholarships, comprehensive online test bank, and in-house library. Underlying these successes, however, is a truly unifying sense of brotherhood that has come define our members’ experiences not only at UCLA but also for the rest of their lives. More than just the stereotypical “frat guy”, a gentleman of Theta Xi constantly strives to ensure that the world sees fraternities as more than what the media portrays them as. Our fraternity focuses on brotherhood, academics, athletics, philanthropy, and more beyond just the social aspects of Greek life. To us, a fraternity is a place to cultivate friendships, help the community, and ultimately grow as a man. All of our brothers agree: Theta Xi is the perfect place to foster individuality while promoting unity. How time-consuming is fraternity membership? Like most other extracurricular activities, how much you get out of your membership in Greek life is directly related to how much you put in. On average, expect to commit about four hours per week to mandatory meetings and events. Optional activities such as holding a position, attending social and/or brotherhood events, playing on intramural sports teams, or assisting with various projects will of course take additional time. With good time management skills, which you will continue to develop throughout your Greek experience, fraternity activities will easily fit into your existing schedule and allow plenty of time for your other academic and extracurricular commitments. Click here for a look at some of our upcoming events. How will my grades be affected? We require that all our brothers maintain a GPA of at least 3.00 each quarter. Those who fail to satisfy this condition will be placed on social probation, barring their attendance at non-mandatory and/or social events, until they get their grades back up. Academic scholarships are awarded on a quarterly basis to all brothers who attain a GPA of at least 3.50. Three different amounts are offered; the higher your GPA, the more you earn! We have a comprehensive online test bank that brothers can access 24/7 from wherever there’s an Internet connection. It contains countless old midterms, finals, quizzes, homework assignments, review sheets, projects, notes, PowerPoint presentations, cheat sheets, class summaries, notecards, and more! Our house has a quiet, secluded, Wi-Fi enabled library in which brothers can often be found studying or working on homework. It’s fully stocked with novels, textbooks, encyclopedias, solutions manuals, handbooks, and more for your reading pleasure. We understand that you came to UCLA first and foremost as a student. Therefore, at no point will you be expected to forgo studying or other preexisting academic commitments in favor of fraternal engagements. What will my membership dues be spent on? Our operating budget is carefully prepared by our Treasurer and Chapter Advisor each year to allocate the largest amount of funds possible toward alcohol-free events. Philanthropies, leadership and career workshops, brotherhood bonding events, and more provide us with a uniquely wide range of college experiences we would not otherwise have available to us. It would truly be a shame to not take advantage of the many opportunities afforded to us in and around Los Angeles—one of the greatest cities in the world. Some would argue that our quarterly membership dues are rather expensive; however, they are actually quite reasonable when compared to those of other fraternities. Overall, our brothers agree that the benefits of being in Theta Xi far outweigh the costs. Pictures of our 629 Gayley Avenue home, as well as further details regarding living in, can all be found here. What leadership opportunities will be available to me? Our chapter has over 30 internal leadership positions such as Career Chair, Public Relations Chair, and House Manager, most of which will become accessible to you upon being initiated. Furthermore, if an unmet need exists within our house, you can create your own position whose responsibilities fill it. Regional Leadership Academy – Held once a year. Two to three chapters retire to a secluded location to hold a critical review of their operations. They set new goals, develop a detailed plan for the coming months, and share insight on their respective successes and failures. Organized and run by Dr. Phil Barrineau, Theta Xi’s Director of Leadership Development, these retreats are extremely useful for individuals to hear the opinions of others in a supportive environment, where the end result is a more closely-knit brotherhood and a better college experience. District Leadership Academy – Also held once a year, this academy is open to all brothers and associate members. It is hosted by a chapter, with sessions being held on the host institution’s campus. The focus of this academy is the development of leadership skills, communication skills, and our fraternity’s core values. It also provides a forum in which brothers can meet members of other chapters, expanding one’s view of the fraternity to include thousands of men spread across the country—not just the several dozen from his own chapter. Rising Stars Academy – This academy is held at a resort near our national headquarters in St. Louis, MO in late winter. It provides recently-initiated brothers with the opportunity to assess and develop their leadership skills in an interactive, experiential setting. Here they will gather ideas which they can use to strengthen their own chapters in recruitment, associate member education, and overall operations. In addition, their team-building skills will be enhanced by accomplishing tasks presented on an exciting outdoor leadership challenge course. Presidents Academy – This exciting program for incoming chapter presidents allows them to improve their leadership skills by joining with their peers for a high-quality educational weekend. The program is centered on Steven Covey’s 7 Habits of Effective Leaders, a world-renowned book on personal and organizational management techniques which has successfully guided many of America’s leading CEOs and provides a solid foundation upon which to develop one’s personal skills. The All True Men program goes above and beyond the benchmark that Theta Xi is known for by establishing a set of expectations and operations that are within reach of only the most motivated chapters. Because we currently hold this distinguished status, our chapter is provided with additional funding, resources, and mentorship. One example of this is dedicated counseling and support from our alumni, who ensure the continued success of our chapter by providing insight on internal operations and mentoring individual brothers. We also receive regular visits from professional consultants who provide material support and specialized advice to improve operations and raise the standard of excellence for each brother. These consultants are recent college graduates chosen from our strongest chapters for their leadership expertise and ability to lead men to success. Rush is held at the start of most quarters, during which fraternities host events at their houses for prospective members to meet active brothers and get a feel for their house’s unique atmosphere. We encourage you to check out as many fraternities as possible to make sure that you find the right fit for you. If you attend several Rush events and/or demonstrate that you would be a good addition to the house, you may be extended a bid of membership which you can either accept or decline. (You will have a few days to make your decision.) Those who accept bids from Theta Xi will join our fraternity as associate members. Click here for a summary of our current and/or upcoming Rush events! An associate member, or AM, is different from a “pledge” in that he is not of lower status than an initiated brother—he is an equal. He will be given all the same privileges afforded to active brothers, with the exception of voting rights and knowledge of our secrets, practices, and ritual. However, in addition to being treated like a brother, he is expected to act and participate like one as well. What happens during the associate member period? At the start of your AM period (which typically lasts about seven weeks), you will be assigned a “big brother” and a “big sister” who will act as advisors and confidants to you throughout the quarter and beyond. Weekly meetings will be held wherein you are taught and subsequently quizzed on our fraternity’s history and infrastructure. There will be at most two mandatory events per week intended on acquainting you with active brothers and your fellow associate members. A project will be assigned to your AM class to be completed by some predetermined date. All of this translates to a maximum total time commitment of about six hours per week; however, we expect that everyone interested in becoming a brother of Theta Xi will want to participate in all of our events as well as study, eat, and socialize with us on a regular basis. The AM period will culminate with Live-In Weekend, during which all associate members are expected to live in the house and bond with their future brothers. Those who have successfully fulfilled all of these requirements by the end of the AM period will be initiated as full-fledged brothers of Theta Xi. Absolutely not! Theta Xi has a firm commitment against hazing and believes in the importance of treating all of our members equally; we are actively working to restore the reputation of college fraternities among the general public as valuable assets to the community. Although associate members (commonly referred to as “pledges” by other fraternities) are not allowed to vote during chapter meeting, they have all the same rights and privileges afforded to active brothers—including freedom from hazing. Any action taken or situation created, intentionally, whether on or off fraternity premises, to produce mental or physical discomfort, embarrassment, harassment, or ridicule. Such activities may include but are not limited to . . . use of alcohol; paddling in any form; creation of excessive fatigue; physical and psychological shocks; quests, treasure hunts, scavenger hunts, road trips or any other such activities carried on outside or inside the confines of the chapter house; wearing of public apparel which is conspicuous and not normally in good taste; engaging in public stunts and buffoonery; morally degrading or humiliating games and activities; and any other activities which are not consistent with fraternal law, ritual or policy or the regulations and policies of educational institution. Once a common tradition, hazing has been banned by all national fraternal organizations and institutions of higher education. UCLA rigorously enforces this policy, and organizations that violate it are subject to immediate suspension of campus recognition and privileges; the same is true of our national headquarters. As an associate member, you will be expected to participate in several memorable events and activities where you will have the opportunity to learn more about active brothers, our chapter, and the fraternity as a whole. However, at no point will you be mistreated, embarrassed, forced to consume alcohol, made to perform meaningless tasks, or treated as anything less than a well-loved friend and brother in any way. We will never ask you to do anything unless our brothers are also doing it, offering support and working alongside you the entire time.